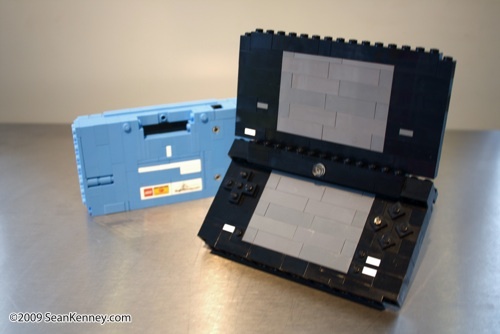 In conjunction with the giant Nintendo DSi display commissioned by Nintendo of America, I also created and displayed smaller life-size DSi models at the Nintendo World Store in Rockefeller Center throughout April 2009. 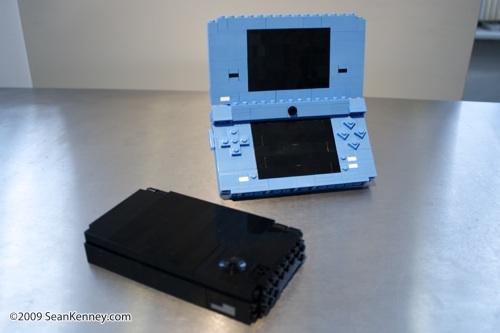 It was challenging to recreate the Nintendo DSi at such a small scale using hard-to-find "light blue" colored LEGO elements. 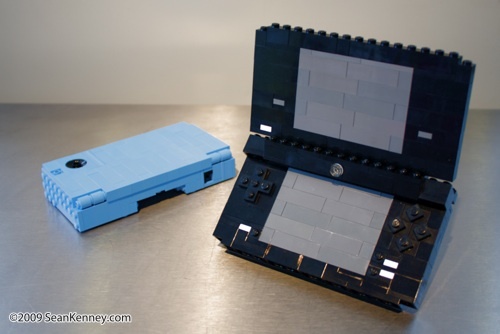 There aren't a lot of different shapes available, so I had to use only the most basic bricks and only a few "special pieces" like hinges and arches. I wanted to make sure I got the overall shape and basic features correct and to-scale. 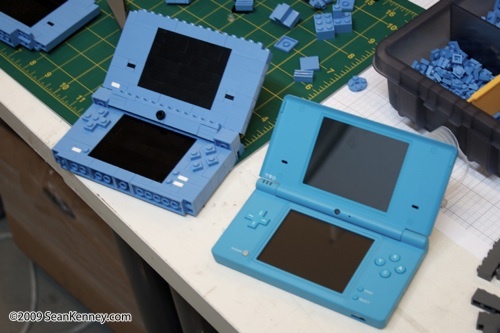 These miniature models were placed on display for a few weeks at the Nintendo World Store in New York City.